In the end he was left with a prison term of six years and seven months. 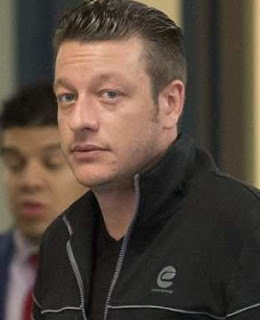 Jonathan Mignacca, 33, appeared before the Parole Board of Canada last week. 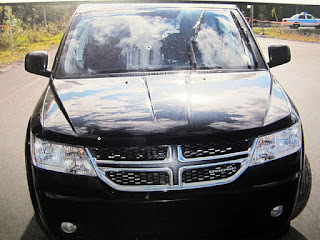 In September 2011, Raynald Desjardins and Mignacca’s cars were parked in a way that allowed them to talk to each other while still in their vehicles. A hitman emerged from a nearby wooded area and opened fire on both vehicles using an AK-47. 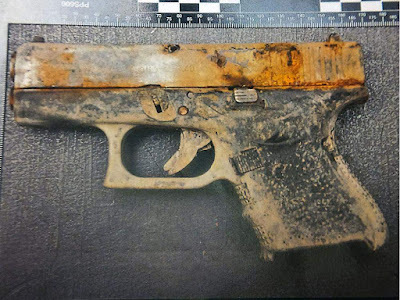 Mignacca discharged a Glock pistol in reply, while Desjardins fled. One of the bullets fired by Mignacca during the exchange struck a Laval city bus that happened to be passing by. 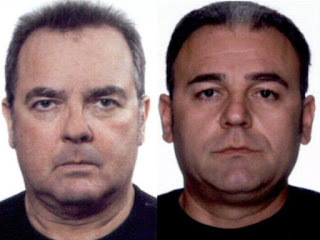 In December 2016, Desjardins pleaded guilty to plotting to kill Salvatore Montagna and was sentenced to a 14-year prison term. His release comes with conditions, including one that forbids him from “Italian cafés” — namely the hangouts for organized crime figures. 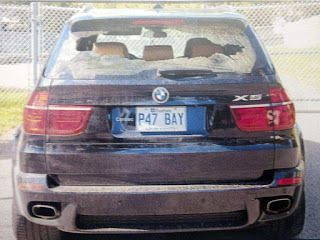 According to the summary, Mignacca “fully understand(s) what is meant by Italian cafés.” Raynald Desjardins's BMW after the 2011 shooting.